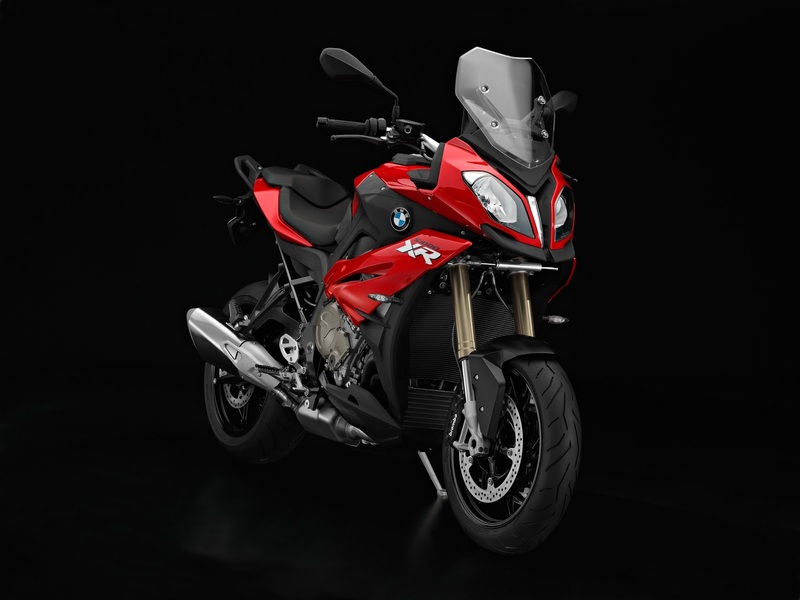 As expected, the S1000XR was released today at EICMA Milan 2014. 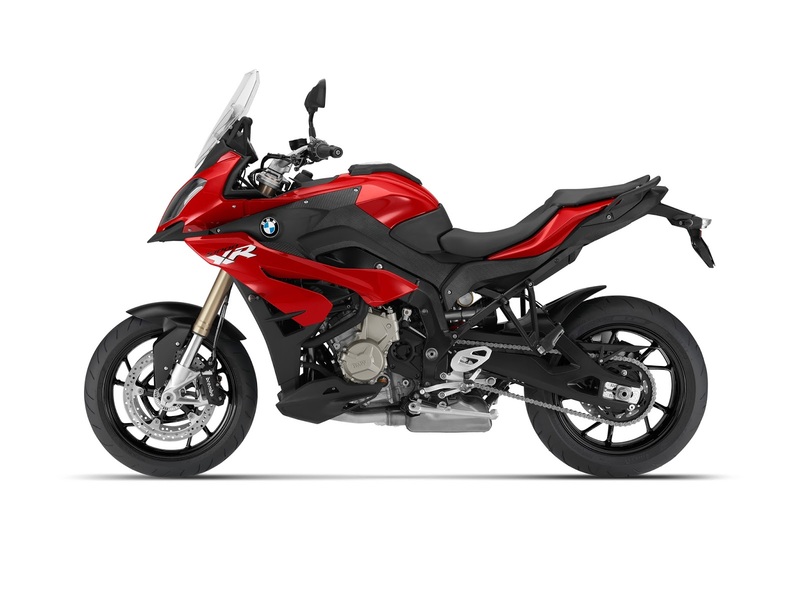 The new bike is classed as an ‘adventure sport’ and is listed within the Enduro category on BMW’s international website (between the F800GS and R1200GS ranges). Its main competitor is the Ducati Multistrada. The 999cc 4-cylinder engine is a slightly modified version of the 160hp S1000R engine, with the same power but a 2,000rpm lower redline. It is available (as standard or optionally) with BMW’s usual electronic aids including dynamic traction control (DTC), up to four riding modes, and their implementation of bank-sensitive ABS (ABS Pro). It should move, too, with slightly lighter weight (fuelled wet weight of 228kg) than the Multistrada and similar power (but slightly less torque). Clearly this bike is not intended to take mud-bogging (let’s face it, most GS owners don’t take their bikes off road either) but it does combine longer travel suspension (compared to the other S-series bikes) and an upright seating position—features which make adventure bikes so comfortable on tarmac of any condition. 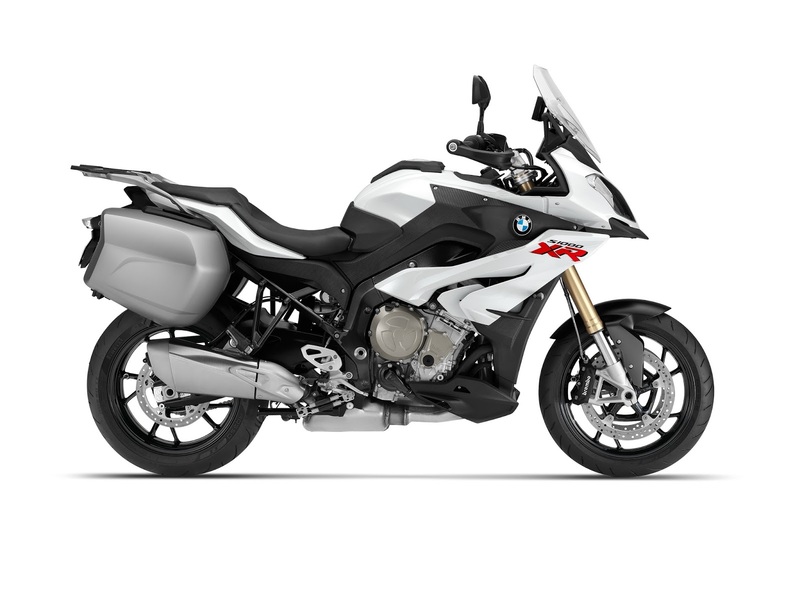 The frame is interesting—at the front it is similar to the other S-series bikes using a perimeter frame, but the rear frame appears to be a bolt-on type similar in concept to the R1200GS. Drive is by chain, not a driveshaft. Suspension is conventional using upside down forks up front and a two-sided swing arm at the rear. 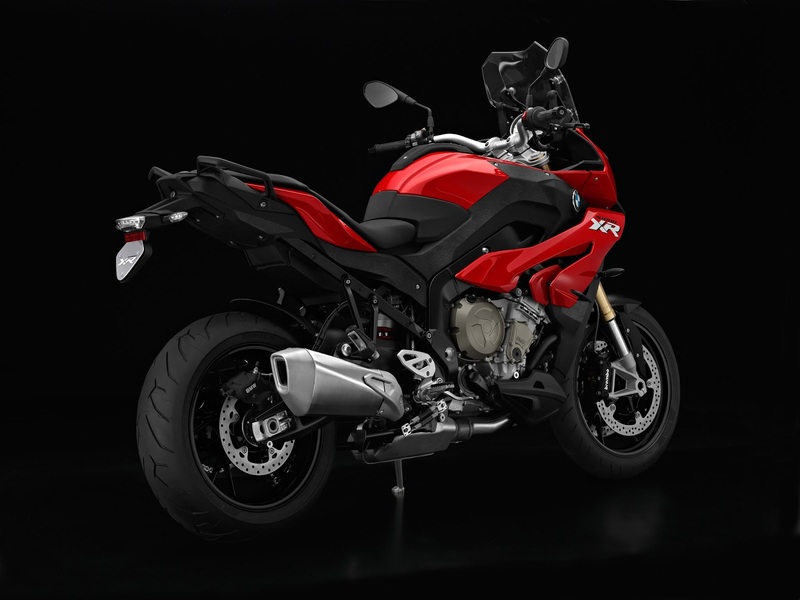 Styling is similar in concept to the S1000R with asymmetrical headlamps and left/right fairings, but with a few GS details thrown in, such as a tiny beak and contrasting bodywork between the top and bottom fairings. Lighting is still halogen as with all of BMW’s current range apart from the R1200GS, but an LED daytime riding light is available. I’m quite surprised BMW hasn’t migrated to full LED lighting as they release new models, considering the popularity of this option on the R1200GS (I have yet to see an example of this model in the UK without the LED). Admittedly I’m not the biggest fan of ‘adventure-style’ bikes with no off road capabilities—BMW themselves have made no mention of taking the S1000XR off road. I have made my thoughts known about Honda’s perpetual release of road bikes in pretty frocks and jacked up suspensions, but the S1000XR seems to take a different route with its bespoke frame and near-superbike specifications. I’m looking forward to reading upcoming reviews, and also doing my own review once my dealership has one available for a test ride. Now that the S1000XR is ‘official’—what do you think? Let me know in the comments.